THE DOCTOR FROM INDIA is a meditative and immersive portrait of the life and work of Dr. Vasant Lad, the holistic health pioneer who first brought the ancient medical practice of Ayurveda from India to the west in the late 1970s. Integrating his gifts as both a healer and a mystic, Dr. Lad has dedicated his life to sharing what is considered the oldest healthcare system on earth in the complex medical landscape of the United States. This is the beautiful and inspiring story of a man who has for decades been quietly at the center of a revolutionary movement to change the way we care for our bodies and our spirits. Directed by Jeremy Frindel (One Track Heart: The Story of Krishna Das) with an elegant musical score by Rachel Grimes, and featuring Deepak Chopra, Robert Svoboda, David Frawley, and Claudia Welch. Released theatrically in the US in 2018 from Zeitgeist Films and Kino Lorber! Dr. Lad and students with a patient at his clinic and school in Pune, India. Dr. Lad seeing man from the local village while at his ancestral family home with students in Pune, India. Dr. Lad walking with students at his ancestral family home in Pune, India. 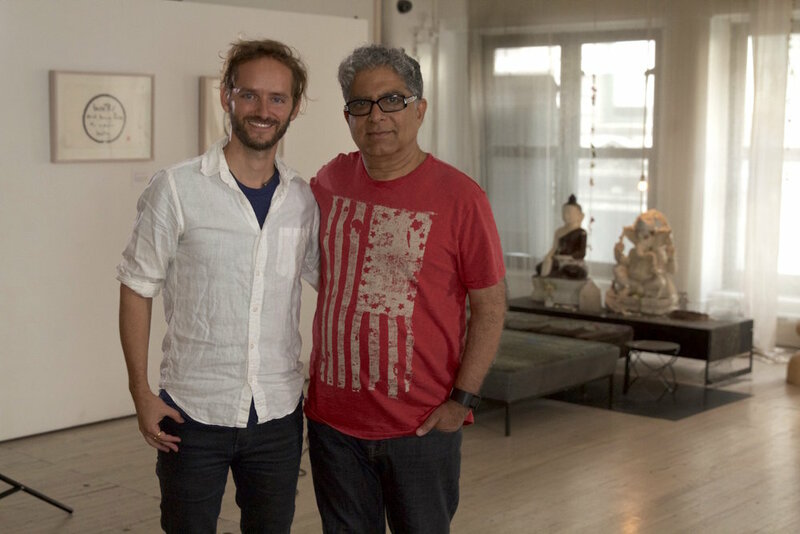 Deepak Chopra and Jeremy Frindel after interviewing Deepak for the film. Drawing by Dr. Lad for animations in the film. Going through old photos from Dr. Lad's childhood.